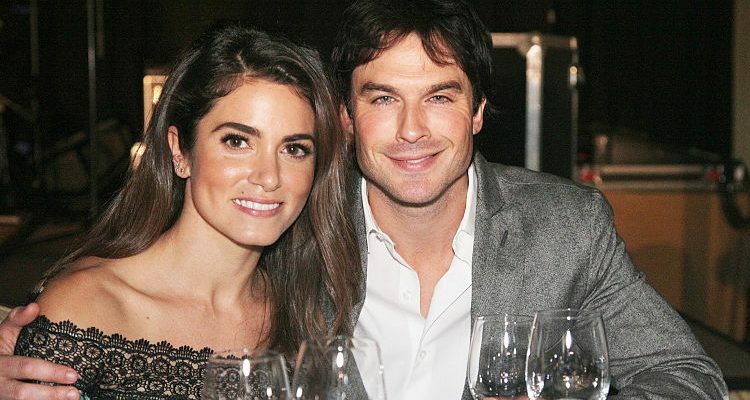 In celebrity land, there are always reports of some kind alleging that a couple has split or another one is about to because of so and so, but much of the time these reports are just plain wrong—and that certainly seems to be the case with Ian Somerhalder and his wife Nikki Reed. Somerhalder stars in the hit show The Vampire Diaries and Reed is known for her role in the Twilight saga. The media has been saying lately that the two are headed for divorce, but the pictures taken of them on Monday in Beverly Hills show a different story. Nikki Reed leads a genuinely wholesome life, and that extends to her diet and workout routine. Her lifestyle is holistic and not what some might expect of a Hollywood star. But keeping a simple pace and ensuring mind and body are at peace and properly nourished may be essential to surviving the chaos that is Hollywood. Reed is almost a “granola” girl. She rarely wears makeup unless she is on set, doesn’t like selfies or filters, eats clean food, avoids meat and alcohol, and incorporates regular mediation into her schedule to keep her grounded. The Twilight actress believes women should feel strong in who they are based on their natural beauty, inside and out. Growing up, Reed never worried herself about calories, let alone counting them; even to this day, it isn’t something she gives any mental space to. She just makes sure to eat good, clean food that nourishes her body and mind, and she exercises regularly. When those two things are done, there is hardly a requirement to count calories. Reed, 28, exercises every day. Mountain biking is a favorite of hers, and she often does it with Somerhalder. Morning workouts are an absolute must for her and will almost always be done outdoors. For her, it isn’t about being skinny, but rather being strong and healthy. She’d rather be able to lift 50 pounds than look thin. As a vegetarian, Reed mostly eats vegan foods, and she firmly believes, like many other vegans and vegetarians, that it is a major contributing factor to her glowing skin. She makes her own skincare products with natural oils, sugar, and salt. On occasion, she will follow a detox diet. Reed’s husband, Ian Somerhalder, takes great care of his physical appearance and overall well-being. He lives as healthy a lifestyle as his beautiful wife by regularly eating right and working out in the gym and being as active outside, whether it is hiking or biking around the natural parts of their California home. The actor reportedly doesn’t eat any junk food and doesn’t drink a lot of alcohol either. He is said to follow a protein-rich diet that includes a lot of healthy fats. What foods have healthy fats? Many, including olive and coconut oils, avocados, butter, oily fish such as wild salmon, and nuts. Our bodies need healthy fats, so the vilification of fats in America is an unfortunate circumstance. According to reports, Somerhalder eats mostly chicken and fish and always ensures he has tons of fresh fruits and vegetables every day. On occasion, he may have rice and oats, and before working out, he apparently likes to have a cup of green tea for a boost of energy. Jena. “Ian Somerhalder Diet Plan,” Celebrity Sizes web site; http://www.celebritysizes.com/ian-somerhalder-diet-plan/, last accessed November 23, 2016. Romeyn, K., “WHY NIKKI REED WOULD “RATHER BE ABLE TO LIFT 50 POUNDS THAN FEEL SKINNY”,” Well + Good web site, May 15, 2016; http://www.wellandgood.com/good-looks/nikki-reed-health-beauty-habits/slide/3/, last accessed Novembr 23, 2016.